A house gets broken into every fifteen minutes. It’s a terrifying fact, but the best way to make sure your home isn’t part of the statistic is to have a home security system installed. Believe it or not, not only is owning a security system a reliable long term solution, its cost can be customizable to every wallet. But, as it is when purchasing anything in life, it helps to know what you’re getting involved in. In this head to head review, we explore two of the leading home security companies and what they can offer clients, new and old. Both FrontPoint and Lifeshield offer a standard 24/7 monitoring service, 365 days a year. 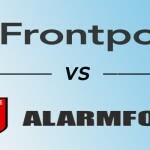 FrontPoint also offers options for those who want a little more protection: carbon monoxide monitoring, flood, fire, security and life safety emergency monitoring, all for no extra cost. You can also use their system on a trial bases for thirty days for free, and if you are unsatisfied, you can return it at no hidden fees or costs. A big plus is its easy to install feature, which allows you to put in the system yourself, saving you money. If you move, you can always take it with you. Protection Monitoring: includes intrusion, environmental, life safety and fire monitoring (entry level plan). Interactive Monitoring: includes the Protection Plan, the ability to control the system from any smart-device (phone, tablet, etc.) through mobile apps, and the ability to control your home lighting and door locks on the go. It also has crash and smash protection and email and text alerts (secondary level). Ultimate Monitoring: includes everything from the Interactive Plan, as well as a video surveillance option. You receive the more modern feature of home automation, which you can remotely control the lights, locks and thermostats (more comprehensive plan). Lifeshield protects you with more, too, but for a little extra money. If you choose, you can add their carbon monoxide monitoring, video surveillance, and medical and environmental monitoring. It has five monitoring centers across the country, so help is always readily available, no matter where you are located. If one center is disabled, the call is immediately redirected to the next available one, guaranteeing your safety is in good hands. 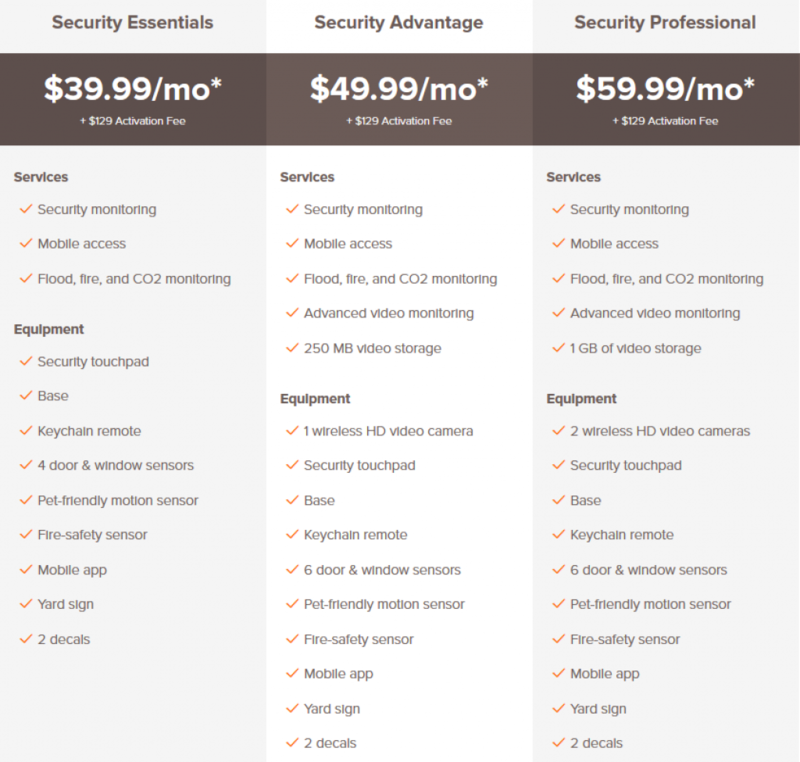 FrontPoint has three packages for their customers to choose from. They also provide extra pieces of equipment (for extra costs) to let you customize your package. Standard package: includes one wireless control panel, two wireless door/window sensors, one wireless motion sensor, one yard sign, five window decals, and a keychain remote. Enhanced package: you get everything from the Standard package. In addition, you get one smoke and heat sensor. Light package: along with the other features from the first two packages, you get two Z-Wave wireless light controls that allow you to control your home lights and small appliances remotely. Value package: perfect for apartments or smaller homes. You receive one base, one consol, one remote keychain, two door/window sensors, and yard and window signage. You also receive free LifeShield mobile access to remotely control the system (entry level package). 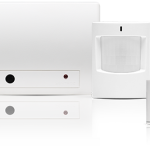 Gold package: includes everything in the Value Package, plus one extra door/window sensor, one motion detector, and one fire safety sensor. Platinum Plus Package: everything in the Gold package and one free wireless camera. Also, you get advanced options for video monitoring. This allows you to see live video of your home, record the footage, and take snapshots with your smartphone and tablet, wherever you are. Both companies take customer service very seriously and strive to resolve any problem someone presented with their system. FrontPoint assists you with things such as order changes, sensors replacement, price quotes, and any questions you might have. Their customers rave about their modern systems, technology, and energy management. 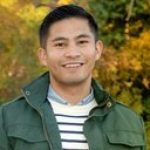 Lifeshield does the same, but they focus on forming a strong relationship with their customers first. FrontPoint and Lifeshield use more modern equipment with wireless systems, but when it comes to quality, FrontPoint uses GE Simon systems, which is efficient and commonly used. The GE systems have more resources and the ability to constantly be updated and improved. Lifeshield has proprietary equipment, which tends to lag behind when it comes to updates. FrontPoint offers a 3-year warranty that covers everything, including the batteries, which most companies don’t do. Lifeshield offers a one-year warranty, and if you prefer longer protection, you can purchase an extended one. The warranty, though, only applies to their security “kit” and not to any additional accessories. 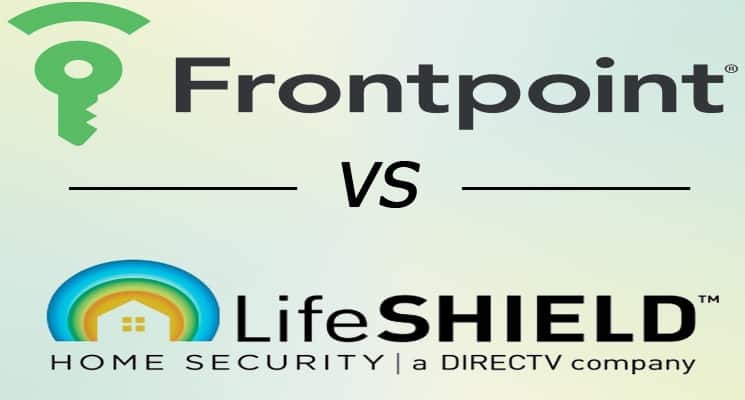 FrontPoint and Lifeshield have advantages and disadvantages when compare side-by-side. 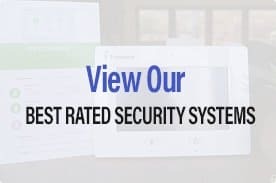 But when it’s your money, your time, and your home on the line, it helps to way all options to see what home security company fits best into your life.